What are your obligations and proper roles when serving as a member of the governing Board of a charitable entity? How can you best assist with strategic decision-making and support the CEO in taking calculated risks? How do Boards of different sizes work together well to effect necessary structural change or to respond in a moment of crisis? 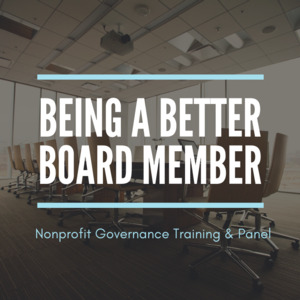 How does a Board identify the right moment and path to make significant organizational changes to best accomplish its charitable mission? This program will review the basic fiduciary duties applicable to nonprofit board members and offer examples of how the traditional fiduciary duties of care, loyalty, and obedience can be adequately discharged – or may be inappropriately violated. After a summary of applicable Pennsylvania and federal law, a panel of nonprofit CEOs will discuss some of their best and worst experiences around key moments of organizational change. Online registration is required as space is limited. Please register here. This program is co-sponsored by the Free Library of Philadelphia's Regional Foundation Center, the Junior League of Philadelphia, and Conley Fleming LLP.